The results for financial year ending 31st October 2018 set a number of new records for the Group. Total revenue increased by €10.6 million (17%) over the previous year to reach €56 million. It is reassuring to see that the increases were across all divisions of the Group. Operating profits also registered a 50% increase to reach €15.6 million from €10.1 million in 2017. The Group’s profit before taxation for the year amounted to €40.2 million. This was mainly derived from the ongoing revaluation program of the investment property held by the Group. 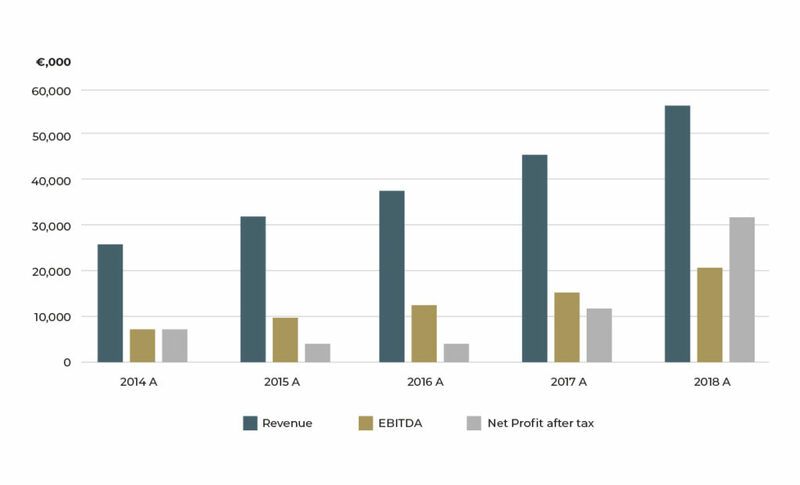 The graph below shows that over a 5 year period the Group’s revenue more than doubled whilst EBITDA almost tripled. As at year end, total assets of the Group increased by €38.9 million, from €286.3 million in 2017 to €325.2million in 2018. 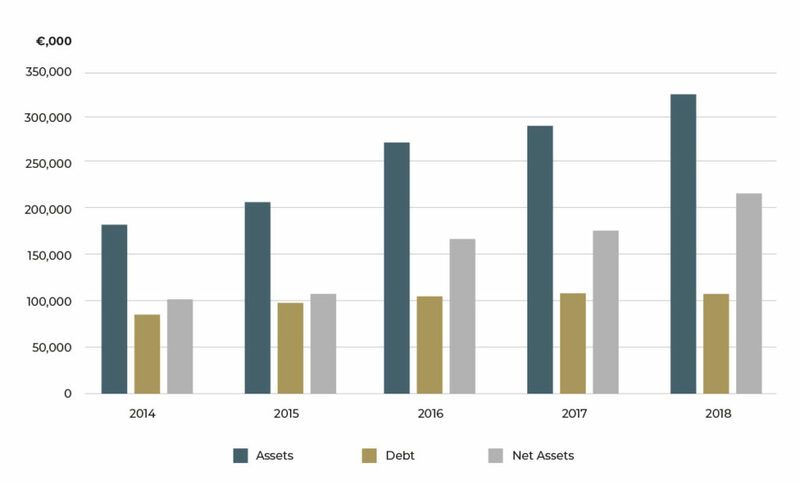 On the other hand, total liabilities decreased by €2.3 million, from €112.9 million in 2017 to €110.7 million in 2018. The Group’s equity at year end stood at €214.6 million up from €173.3 million in 2017. -The development in Mosta which include new headquarters for AX offices and apartments for sale and rent. We also expect to have a number of important commercial and financial announcements in 2019. “We are very proud of the progress made so far and look forward to the projects that are now in the pipeline”- Michael Warrington CEO of AX Group concluded.